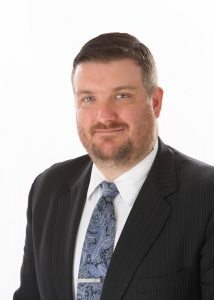 Josh joined Paulus Law Firm in May 2014 after practicing in the Nebraska panhandle in the areas of personal injury (including motor vehicle collisions, product liability, and medical malpractice), workers compensation, and employment law. He moved to Nebraska in 2008 to attend law school after growing up in the Kansas City area, attending the University of Kansas for his undergraduate degree, and working for several years in Kansas City as a lab technician at a prestigious primary cancer research facility. When given the opportunity to return home to Kansas City with his wife and children to focus his legal practice on representing workers who have been discriminated against and/or wrongfully terminated by their employers, he could not refuse.